For the last few hours, Udhayanidhi Stalin has been targeted by STR fans on social networking sites. Udhayanidhi Stalin discovered this the hard way, when he faced backlash from social media users alleging his involvement in the stalling of a movie starring actor Silambarasan. A few days back, Simbu tweeted about external forces creating issues over his movie’s release. 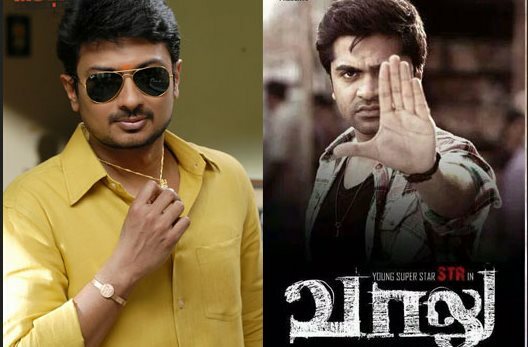 With the introduction of a twitter hash tag #CowardUdhay against the actor-producer, the rumourmongers mocked Udhayanidhi for having a hand in the delay of the release of Vaalu by blocking all the main screens for Arya's VSOP which is to be released by him on the same day. "Very funny! Why should I and how can I stop the release of Vaalu? Any logic? Friends.. Pls think before jumping to conclusions! Full comedy show from morning!! Try to make some #sense next time! #nonsense and thx for all the friends who made me trend today for no reason. I'm not against any stars or stars' fans! But remember one basic thing! Just use your brain (if you have one) before commenting on other ppl! #nonsense."